With a recent six-figure seed-round investment, Tern Water is one step closer to making homes more intelligent with its smart faucet. Mohamed Zerban, a senior in Drexel University’s College of Engineering, is the founder of Tern, a startup—housed in the Baiada Institute for Entrepreneurship—developing a water filter placed in a sleek design that could be added to faucets without the clunky look of what already exists on the market. 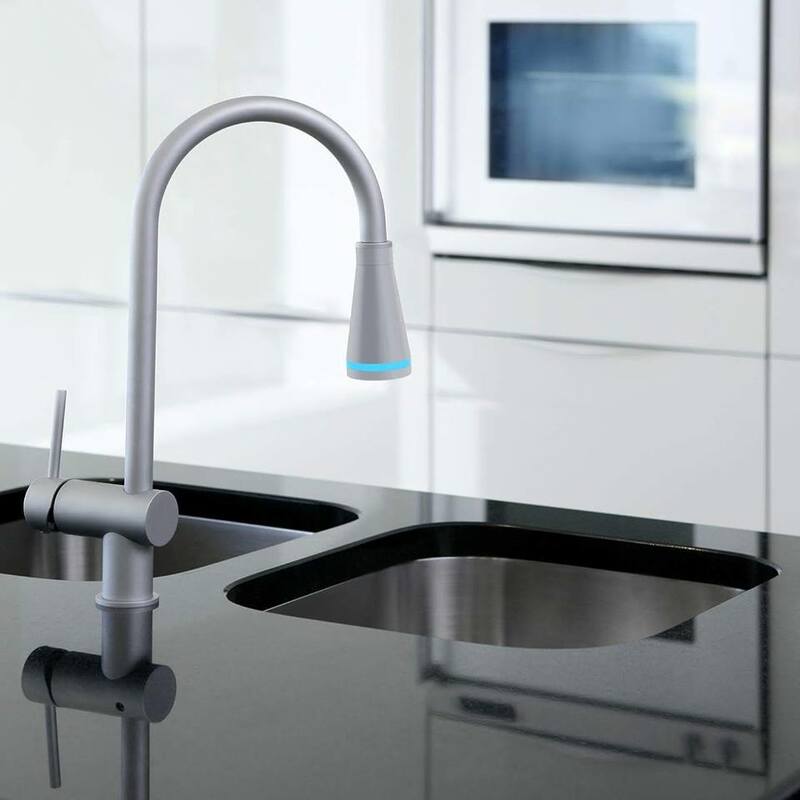 The faucet is equipped with a smart hub that will monitor water consumption, efficiency and the filter’s longevity. With the help of an app, consumers will have this information available at their fingertips. Sensors will automatically notify Tern when it’s time for the company to mail consumers a replacement filter. The Tern faucet will come in a variety of finishes to match any faucet. The six-figure investment comes from Kevin Michals, founder of Cross Properties, a real estate and development company headquartered in Philadelphia. After the success of Cross Properties, which Michals founded in 2010, he created Cross Capital to make investments in early-stage technology companies serving the real estate industry. Tern is the first company Cross Capital has invested in. Michals told The Philadelphia Inquirer that Cross Properties will also buy smart faucets to equip units in its developments. Both Michals and Zerban will not disclose the actual investment amount. However, the startup needs to raise an additional $100,000 in order to finalize the prototypes and begin production in a few months. Zerban, who has identified potential manufacturers, feels confident that he will secure funding from other investors. Until then, Tern is recommending potential buyers test their water for contaminants. Consumers can order a “Know Your Water” capsule that comes with instructions on how to mail Tern a sample of their tap water in order to find out what contaminants—if any—are in their drinking water.